President Andrew Hamilton sent an email to all students stating that NYU is a sanctuary campus. Andrew Hamilton has big shoes to fill. As the new president of NYU, Hamilton has been handed a university whose presence is ever growing internationally and whose prestige has steadily risen over the last two decades. Due in large part to former president John Sexton’s larger-than-life dreams, NYU has become a name-brand university, a symbol of New York City and one of the most ambitious universities in the world. This has not come without growing pains. Rising tuition and increasing expansion have drawn criticism from faculty members, students and community neighbors alike. Now, Hamilton inherits a university that always seems to be embroiled in a controversy of one kind or another. Hamilton served as the vice chancellor of Oxford from 2009 until his appointment as NYU’s president. Prior to his time at Oxford, he served as the provost of Yale. His academic work has largely focused on the intersection of organic and biological chemistry, studies he has continued working on while holding leadership positions. 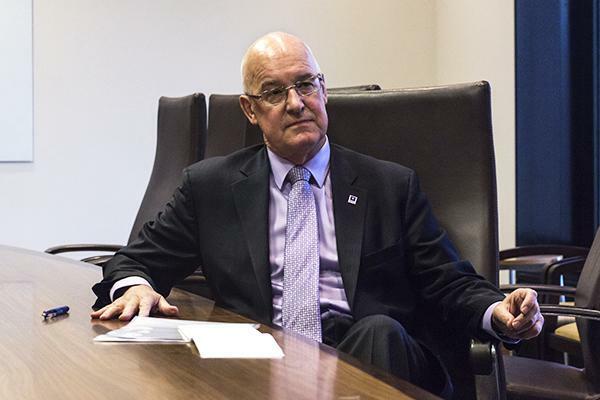 Hamilton sat down with WSN and other university-affiliated news publications in a joint interview to discuss what he hopes to focus on once he has settled in as NYU’s new commander-in-chief. 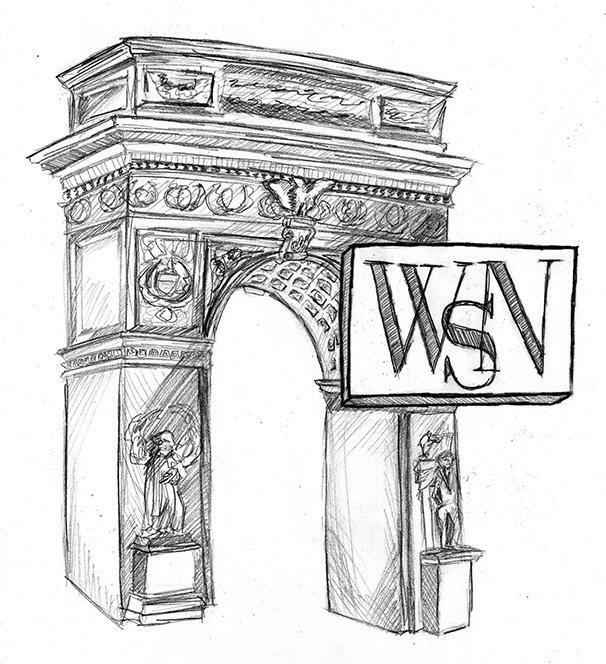 With rising tuition and increased expansion, NYU has drawn comparisons to a corporation that may not always have its students’ best interests in mind. What will you do to reassure students that they are truly being supported by the university, and that NYU won’t simply be run like a business? I don’t see NYU as a big business. I see it as an educational establishment that actually has made remarkable progress over the last two, three decades. Yes, we have a large organization. We are all over the city of New York. We have locations all over the world. Running in an effective and efficient way is something we should aim for, but to me that’s not losing sight of the core values of an academic institution, and those core values are the creation and the dissemination of scholarship. The last year has seen continued conversation surrounding diversity in campus. Do you have any concrete steps in mind to increase diversity among faculty and students? I think it was very much the right thing for NYU to begin a discussion within the community of what the experience is like for students of color, for students from minority backgrounds. For me it was very important to hear those experiences and then to know that NYU was following up properly, appropriately, with the establishment of the senate ad hoc committee. I’m very pleased at the progress NYU has made the last 10 years. This incoming freshman class has more than 20% of our students from Latino/Latina and African-American background. That’s double the proportion we had 10 years ago. Faculty diversity is critically important. It is a complex and not straightforward issue because of course it is not simply only in the point of faculty recruitment that issues of diversity become critical. It’s also in creating a strong pool of candidates that have a very necessarily diverse character. As we prioritize increasing faculty diversity, one of the things we’ve got to do is to make sure that we take a holistic approach to the problem and ensure that the number of scholars from minority backgrounds that are coming through into the pools for potential recruitment is an increasing number. There has been a lot of tension between the administration and a faculty that feels disenfranchised, underpaid and often voiceless. How do you plan to ease tensions in what is a relatively fragile and fractured relationship? To me, it’s important that any great university — and I include Yale, Oxford and NYU in that group — has to be led by its faculty. Faculty are the long-term intellectual leaders of any institution, whether it be in philosophy, in law, in chemistry, in medicine, in engineering. It is the faculty from those intellectual areas who will chart the future of their field within the university. So I’ll be doing a great deal of listening. I’ve already spent most of my time since arriving on Jan. 1 meeting with faculty. I’ve had many different meetings in departments, in schools, with academic leadership, with faculty members — just to hear from them what their view of NYU in 2016 is. And not to go back and rehash what happened in 2013 and 2014, but actually look forward. When you have a large and complex university, it can sometimes fragment, and we’ve got to make sure that doesn’t happen — we’ve got to make sure that the whole is greater than the sum of its parts. It seems that there are competing narratives between excess spending among top administrators and student debt. How will you reconcile these differences? I will be prioritizing the fundraising for financial aid. I’m very pleased that NYU in the last couple of years has initiated a new highly focused fundraising campaign called the Momentum Campaign to really tackle and target financial aid to those who need it most, and I will be continuing that priority and putting a huge amount of fundraising for financial aid. We will be tackling affordability from two sides. One is to get a handle on costs and to try and constrain increase in costs. The other is to improve financial aid. What is your stance on the movement for NYU to divest from fossil fuel? As vice chancellor of Oxford, I was involved in discussion and considerations of the university. We formed a group with a very significant representation from students and those concerned about fossil fuel divestment. We committed we would not invest in the future in those very high polluting, high carbon dioxide and other greenhouse gas emissions energy sources. The decision of the university was that the solution to this will involve us all working together. It will involve research into new technologies like carbon capture, like enhancing the efficiency of solar technologies, of wind technologies, of wave technologies as renewable sources of energy. These won’t come from any individual entity, they will come from a very concerted and collaborative approach to tackling a massive problem for society. That involves engagement. And so the recommendation of the student represented committee was that we not divest from the 200 leading fossil fuel — particularly oil — companies, but that we engage with them to work towards both improving and reducing the level of carbon emission. How do you plan on navigating the complexities of NYU and engaging with the issues that the student body feels are most important? I’ve had to change my entire wardrobe. I have purple — excuse me, violet — everywhere. Of course, it takes time to truly get to know an institution, particularly one as large and complex as NYU. A modern, dynamic, relevant university in the 21st century is complex, so NYU should not over agonize about its complexity. In my view, NYU in the 21st century is a wonderful reflection of the city that is its principal home — a city that’s grown, a city that’s dynamic, a city that’s constantly changing and churning, and NYU in a sense has grown. How do you see the growth of NYU Abu Dhabi, and how do you plan to maintain its sustainability as a portal campus? Abu Dhabi is very much in a startup phase — the number of students has not even reached a thousand yet, and we know that the campus has capacity for a considerable number more. So I will see one of my priorities with NYU Abu Dhabi to ensure that the progress that has been made — which in my opinion is outstanding in establishing itself as a real presence in that part of the world — my priority will be that we consolidate those gains, that we make sure they are there permanently. At times, NYU Shanghai and NYU Abu Dhabi have come under fire in controversies surrounding academic freedom. How do you respond to these criticisms? I wholeheartedly believe that a university’s strength lies in its ability to debate, to discuss, to explore, to research, to teach without constraints, and academic freedom is an absolutely core value. Of course, as an institution inevitably establishes international centers of activity, there will be different cultures, different perspectives on these questions that have to be taken into account. I know well that when the issues of academic freedom were discussed and when the structures were created for both Abu Dhabi and Shanghai, that academic freedom was front and center in the negotiations with the local partners to ensure that what is at the heart of the academic enterprise in those portal campuses would be open and would not be restricted. We must always remain vigilant, and [academic restrictions] can occur in the United States just as they can occur in Abu Dhabi or Shanghai. John Sexton was well-known around campus for his hugs. Do you have a tradition by which you would like NYU students to recognize you? I do hug, but I hug my nearest and dearest. John is John, and I think the world can only take one John Sexton. I will be a different person. My approach will, as I hope you’ll see in the coming weeks, be very much I want to be part of life and the vitality that is Greenwich Village and student activities. I’ve already gone to a couple basketball games, and watched the women’s and the men’s basketball teams — they’re having great seasons, they’re doing incredibly well. As I said, I’m going to student performances, and I’ll look forward to engaging with student life in many different forms that it takes across the university — in Abu Dhabi and Shanghai as well. Disclaimer: the questions and answers in this interview have been edited for length and clarity purposes. Sir-read that your students , when asked about the President’s SOTU address said they hated it-and him, calling him racist and any other slurs the could think of. Only problem is—he didn’t speak until a week later. Which begs the question-is your school as much of a republican hating campus as many others? Are your professors putting that garbage into their heads as so many ultra left profs are? Do their parents, who pay you astronomical sums of money, know what they are being exposed to? Or—do you have a class in mindreading, and if so, can I audit it? I would love to know what people are saying and doing a full week before they actually say and do it. So, i’m not trying to be mean , but many Americans are wondering what is happening on many college campuses where students are given a small space where they can go and express their views, where professors laugh when they trick their students into walking on the flag, then laugh hysterically, where conservatives are not allowed to speak on campus, where some students actually fear for their lives. I don’t think i’m exaggerating, i have a masters degrees and my kids have doctoral degrees and I know they were never exposed to the violence that is happening now.I just want all persons in charge of our universities to be very careful and on top of every class offered to make sure those students become true thinkers, not just spouters of some professor’s hatred—of what I have no idea. I personally think living in this country is as good as it gets. So, please help them realize that,too.